We want to offer you some black mold removal tips. 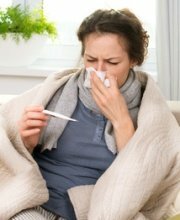 You probably know that black mold is associated with numerous health problems, including asthma, sinus infections, pneumonia, migraine headaches and hives. Black mold can also cause serious damage to your home. If you’ve got black mold in your house, you need to remove it as soon as possible. The process of cleaning up black mold exposes you to mold spores which, if inhaled, can make you sick. 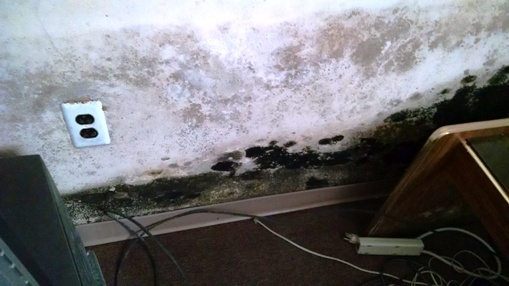 You can read more about health problems related to black mold here. In order to protect yourself during the mold removal process, you’ll need safety gear, including latex or vinyl gloves, an N-95 respiratory mask, hair cover, shoe covers, and clothing (including long sleeves and pants) that you’ll remove and launder in hot water as soon as you finish the mold removal job. To effectively remove mold, you need the right mold removal product. Make sure any product you use is known to kill black mold. Many people use bleach to remove mold but we don’t recommend that. The fumes from bleach can cause breathing problems, bleach can irritate your skin, it’s corrosive to many surfaces, and it’s dangerous if mixed with certain other chemicals. In addition to all that, there are other products that we believe are more effective. Follow this link to read more about mold removal products. Some materials cannot be adequately cleaned of mold, no matter what cleaning products you use. For instance, it is difficult or impossible to remove mold from porous materials such as carpet, insulation, drywall and plush furniture. These items must be removed and replaced (and care must be taken during the removal process so that mold is not inadvertently spread to other areas of the home during the process). If there is any doubt about whether or not an item can be adequately cleaned of mold, consult a mold remediation professional or simply throw it out. It is important to avoid inadvertently spreading mold to other areas of the home during the mold removal process. Use large sheets of heavy plastic and duct tape to separate your work area from the rest of the home. Cover the floor with plastic sheets as well, unless you are removing moldy carpet or floorboards and need access to the floor. Cover any air vents with plastic and duct tape to prevent mold from entering your HVAC system. Seal materials contaminated with mold, such as moldy carpet, drywall or insulation, in sturdy plastic trash bags before carrying them through the house to discard them. 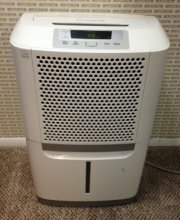 Mold remediation professionals use negative air filtration machines to create negative pressure in the work area. While these machines are somewhat costly, you can rent them from some equipment suppliers. You’ll also need a vacuum cleaner with a HEPA filter to clean up any debris created during the mold remediation process. 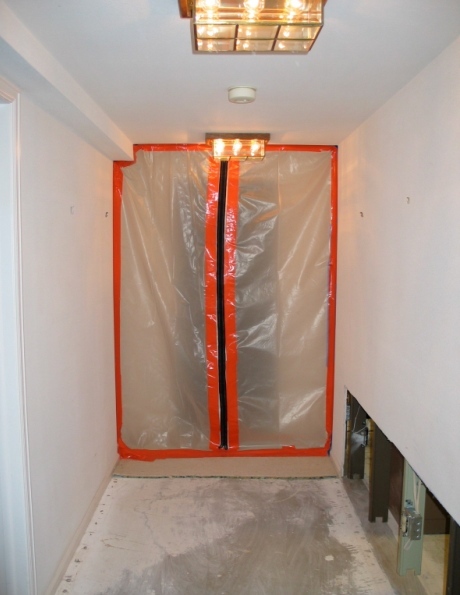 Consult a mold remediation professional if you need more information or advice about how to avoid spreading mold to other areas of the home during the mold removal process. Black mold spreads easily from one area of the home to another. 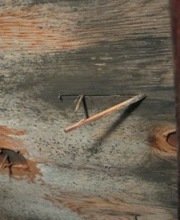 If you find mold in one area, it is quite possible there is mold in other areas, as well. Unfortunately, black mold often grows in hard-to-see spots like inside walls, in attics, in crawl spaces, under carpet or linoleum or even under floorboards, and inside heating, air conditioning and ventilation systems. If you’ve got black mold anywhere in your home, the entire house should be carefully inspected to make sure all areas of mold have been located. If you leave behind even a small amount of mold, it probably will just grow and spread and you’ll soon be faced with a full-blown mold problem once again. If you need assistance making sure you’ve located all areas of mold, call in a mold remediation professional. Many offer free home inspections and as an added bonus, you can get some free black mold removal tips from an expert in the field during the inspection. If you don’t have the necessary safety gear or other equipment to do the job safely and correctly. If you’re just not sure how to do some parts of the mold removal job. And it doesn’t have to be all or nothing. You can always opt to do part of the work yourself and hire someone to handle the more complex aspects of the job for you. If you’re not sure you’ve located all areas of mold within your home or if you need help looking for mold in hard-to-access areas like inside walls or in HVAC ducts. If you have mold covering an area greater than 10 square feet, as suggested on the U.S. Environmental Protection Agency (EPA). If you have mold in your HVAC system. If you have health problems that make removing black mold yourself inadvisable, such as health problems caused by exposure to mold, a mold allergy, a respiratory disorder such as asthma, or a weakened immune system. If you’d like some black mold removal tips from an expert in the field. Read on to find out how to schedule a free consultation in your own home with an experienced mold removal specialist. For professional assistance with mold removal, or just some advice from an expert in the field, we recommend scheduling an appointment for a free in-home consultation with a mold remediation professional. A professional will inspect your home for mold, advise you about the work that needs to be done, and answer any questions you might have. To find qualified mold remediation professionals offering free consultations in your area, just follow the link.